Fantasy Trade for Maurice Jones Drew? Just traded Steven Jackson, Mikel Leshoure and Ben Roethlisberger for Michael Vick, Maurice Jones Drew, and Rashad Jennings. What do you guys think? Who is the winner in this trade? Cheers! best outing of the season, but with the Pittsburgh’s rushing attack dead in the water Big Ben will probably continue to sling the rock all over Heinz field for the remainder of the year. The other team probably just obtained a top 8 quarterback the rest of the way. 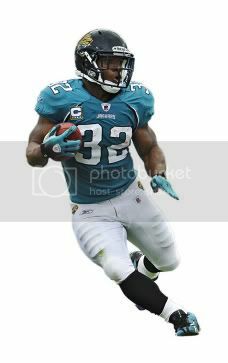 You certainly gave up some value and depth but obtaining Maurice Jones Drew is well worth the risk. Had he not held out he would have been a top 4 back which is the level he is currently playing at. I love insurance, so getting his handcuff was a good investment. Michael Vick has all the potential in the world; I just hope you have a solid back up in place. Both teams did well with this trade, it was rather even. Again, if it was me I’d like the side getting the top 4 back 9 times out of 10. Best of luck in week 4! Be sure to write in as much as you like for unlimited fantasy football advice!